What does Pahwa mean, details, origin, short & easy attributes? Pahwa Name Meaning. Historically, surnames evolved as a way to sort people into groups - by occupation, place of origin, clan affiliation, patronage, parentage, adoption, and even physical characteristics (like red hair). Pahwa is baby boy name mainly popular in Hindu religion and its main origin is Hindi. Pahwa name meanings is Lord Vishnu. Pahwa is written in Hindi as पाहवा. Each letter meanings in Pahwa Name. Popular personalities with Pahwa Name. 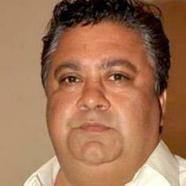 Manoj Pahwa is an actor. Manoj was born on December 8th, 1963 in India. J. M. Pahwa was an ophthalmic surgeon. J. was born on July 4th, 1922 in Multan. J. is also known as Jagdish Mitra Pahwa. He breathed his last breath in 2001.